Your coffee table sets the tone for your whole living space… After all, it pretty much sits right in the middle of the room, right? So it’s worth your attention. 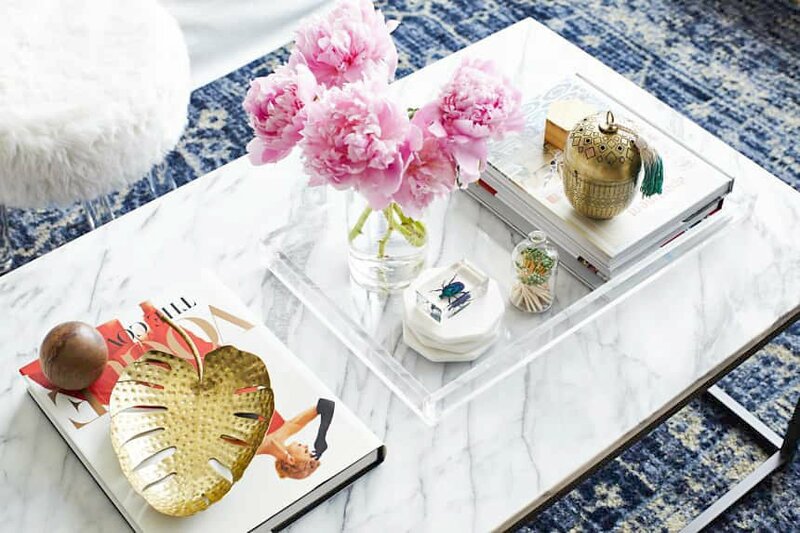 Instead of just using it as a place to toss a couple of magazines and the kids backpacks, how about decorating your coffee table with things you love and want to show off? 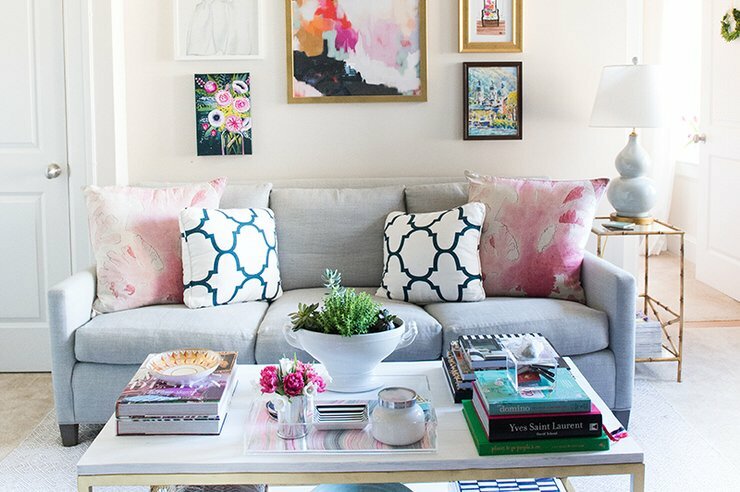 Styling a coffee table doesn’t have to be intimidating, but there are a few key steps you can use to get it right. 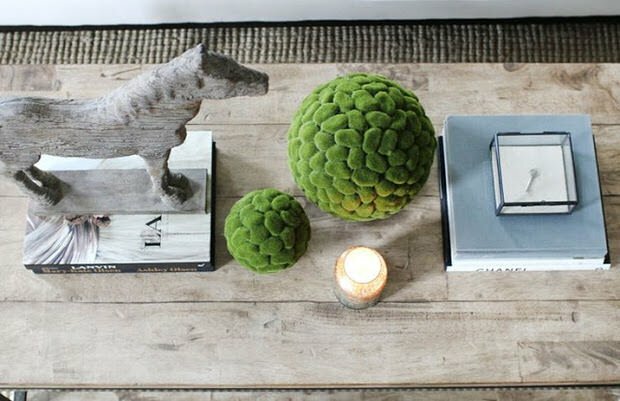 This is our foolproof formula for arranging coffee table decor! STEP ONE – Use something square. This grounds your arrangement. I love to use a stack of books. Use an odd number, and try to choose books with attractive jackets, or cover them with pretty paper for an organic feel. These two examples are from ‘The Every Girl‘. STEP TWO – Use something tall(ish). 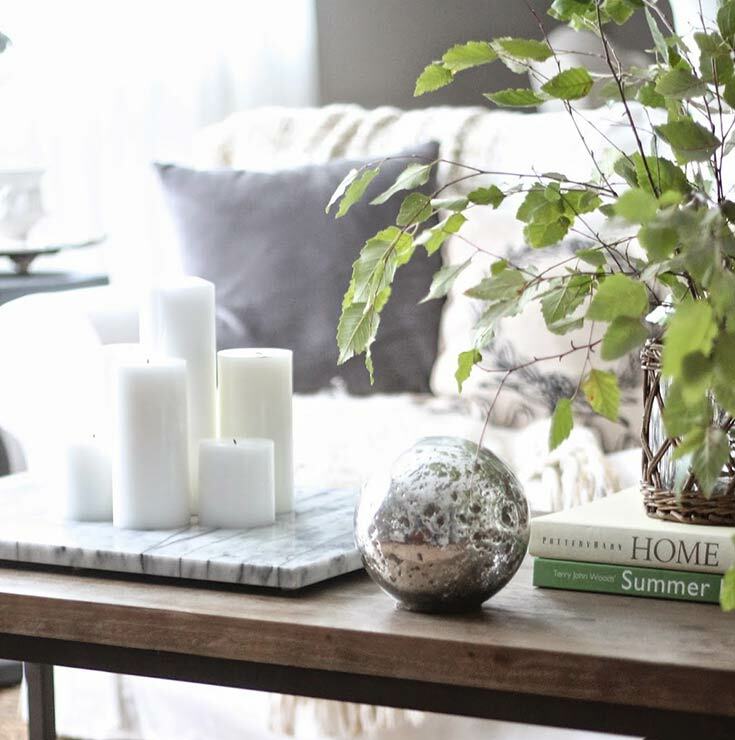 Give your coffee table arrangement some height, but not so much height that it’s difficult seeing across the room, or that it looks out of scale with the size of the table. Candlesticks? A pretty vase? ‘The Pink Dream‘ uses the books, and a tall vase of flowers to add another level for the eye to look at. STEP THREE – Use something alive, or from nature. Nothing is more interesting close up than items from nature. Use fresh flowers, a potted fern, or a pretty shell from last summer’s trip to the beach. This houseplant softens the lines of this coffee table. Photo by ‘12th & White‘. STEP FOUR – Use something with a different shape. Something round, or irregular in shape grabs the attention and offers contrast. (AKA, interest!) Moss spheres, a collectible, just something with personality. 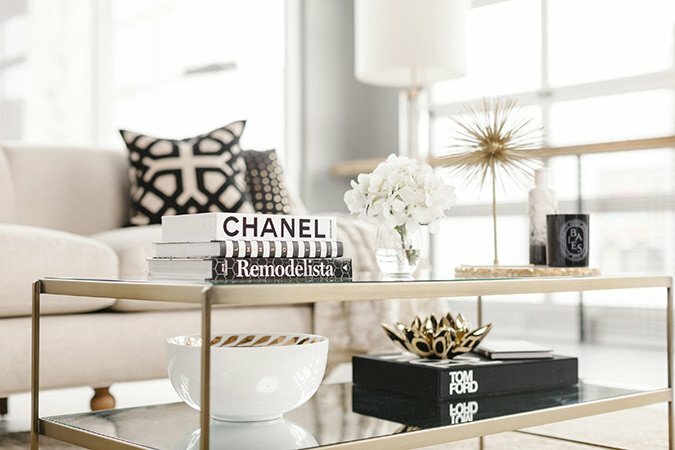 ‘The Every Girl‘ featured a styled coffee table with perfect use of this element! I love how they brought out the rooms’ color scheme with the items they chose. Here is another example of using different shapes and textures to add contrast from ‘Apartment Therapy‘ Photo by ‘Pippa Drummond’. From ‘Cuckoo 4 Design‘, this coffee table decor has it all. Square items to ground the arrangement? Check. Something tall? Check. Something living and something unique? Check, check! 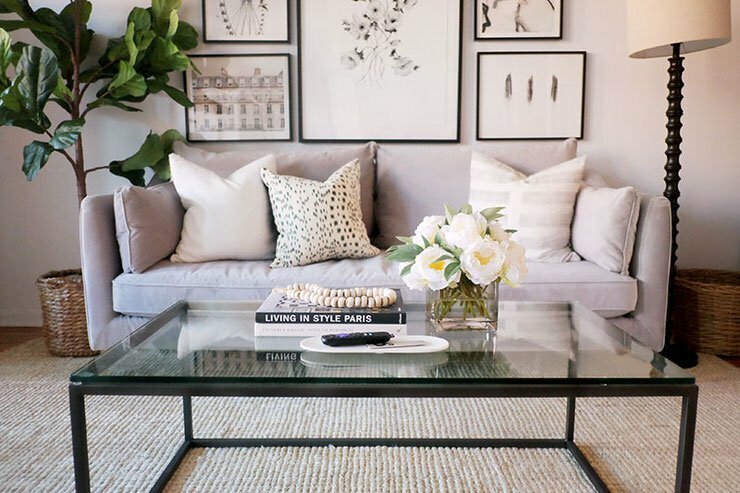 This coffee table decor by ‘Lauren Conrad‘ includes every one of these four steps, but does it in a subtle, glam way. 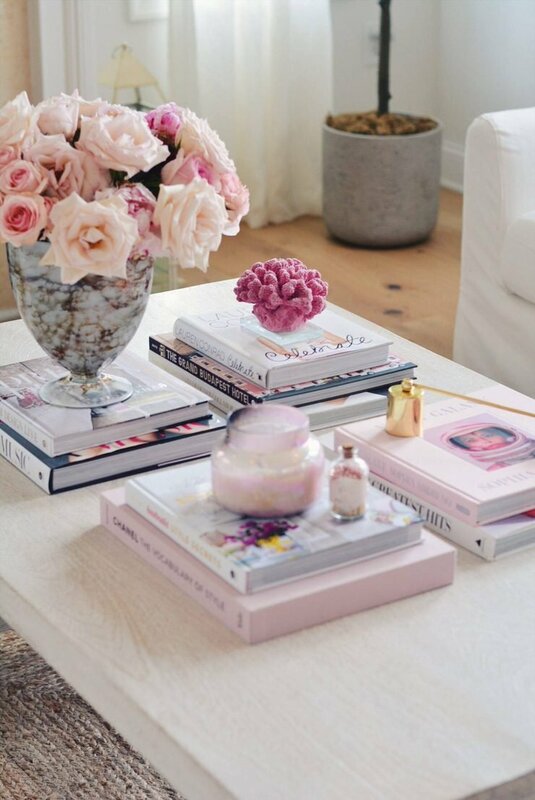 Make sure you match the items you are styling your coffee table with to the style of the room. If you are decorating a round coffee table, use this tip from ‘Studio McGee‘. Divide the surface space into a triangle, instead of a square or rectangle. That’s it, four easy steps! Add something alive or from nature. Add a unique shape for contrast. 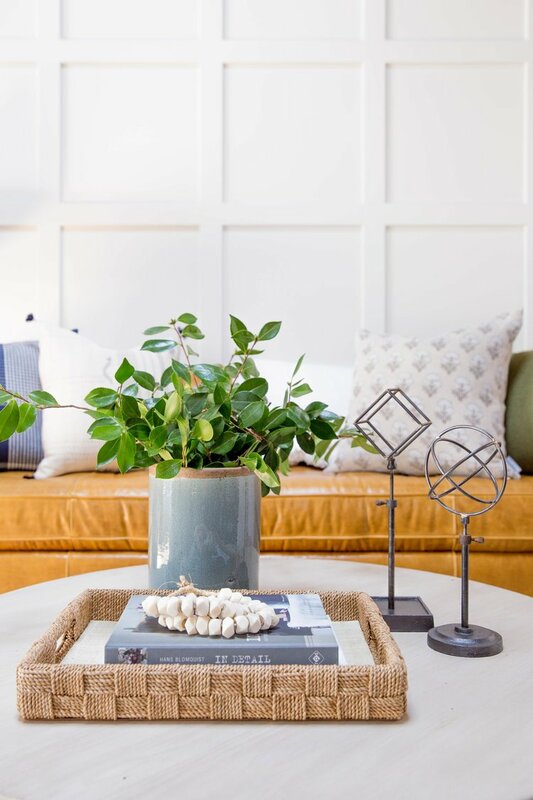 We hope you are off now to gather all your favorite accent pieces, coffee table books and favorite plants and create awesome coffee table decor! 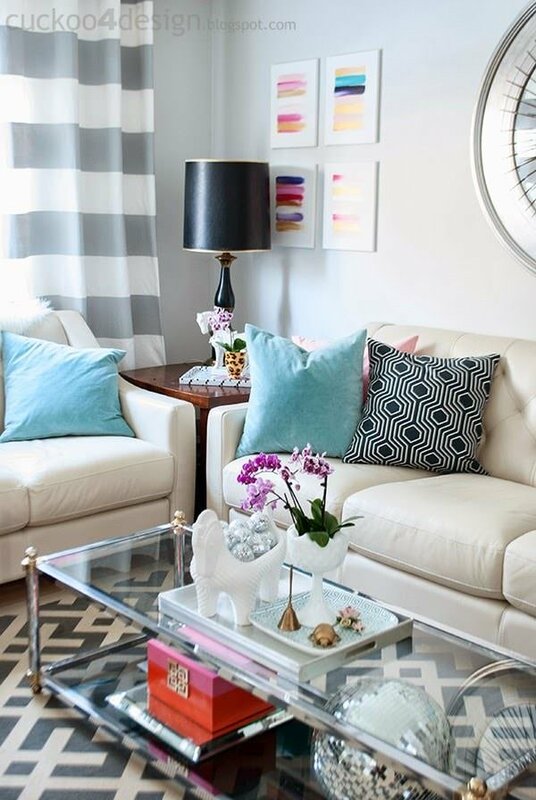 We think you will also love our posts on Sleek & Stylish DIY Coffee Tables, and Furniture Arranging Mistakes You May Be Making! I really love the look of these arrangements on the coffee tables – BUT where am I going to put the tea tray? ?